How to let your AMP visitors navigate your AMP pages (or not) is an important decision you have to make early on. weeblrAMP makes it very easy to select and display menus: you create them (or reuse existing ones) using the usual WordPress menus creation workflow. And then you decide which one should be displayed, and how. A valid option: you may decide that you do want to send visitors to your standard HTML pages right away, with a button in your content, or a notification for instance. An icon in left or right top corner. When presssed, the menu(s) drop down from the top. An icon in left or right top corner. When presssed, the menu(s) slide out sidewise, from left or right. 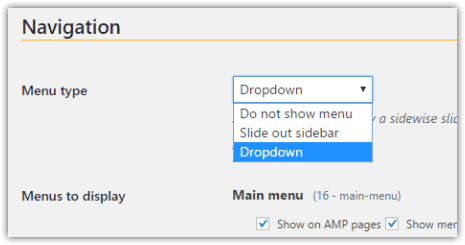 Drop-down menu style is is only supported in the regular edition of weeblrAMP. Optionally replace the classical "hamburger" icon with a title of your choice. 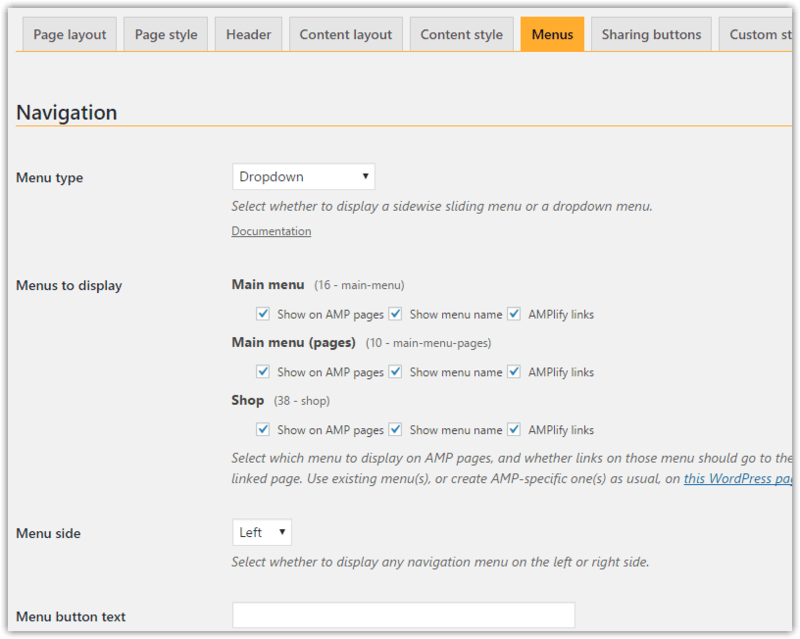 You can therefore select which exact version of a menu should displayed based on the currently displayed AMP page language. Multilingual support is only provided in the regular edition of weeblrAMP.